The Hellenic Cancer Society is one of the oldest Greek NGO’s, founded in 1958 , aiming in primary cancer prevention through Public education and a plethora of screening programs for cancers in different sites. HCS organizes campaigns for fundraising and lectures in order to promote modern knowledge and information on several aspects of cancer disease. Special attention is given to tobacco control and cessation. Society’s “George D Behrakis RESEARCH LAB”, is a “state of the Art” laboratory for Lung Function Testing, donated by the Behrakis Foundation Boston MA. - School based intervention programs against tobacco, that have contributed to reduction of tobacco use in student population. - Routine and sophisticated lung function tests and interpretation to all patients appointed by other centers in collaboration. - PFT’S are given for free to all people in need due to financial crisis. - Through the Lab have been integrated numerous research projects, regarding the respiratory health effects of active and passive smoking, leading to more than 30 publications in the course of the past 3 years as well as to several congress presentations. Panagiotis Behrakis MD, PhD, FCCP, Pulmonologist-Intensivist, is President of the Scientific Committee of European Network for Smoking and Tobacco Prevention, Director of the Institute of Public Health of the American College of Greece, member of the Board of Regents of the American College of Chest Physicians (ACCP), founder of “George D. Behrakis RESEARCH LAB” of the Hellenic Cancer Society, investigator at the Biomedical Research Foundation of Athens Academy and focal point of WHO for Tobacco Control in Greece. During the past years, Prof. Behrakis has worked on National health communication and health promotion campaigns to curb smoking in Greece (Projects HEART I- HEART II and two ESPA grants) as well as Principal Investigator of 4 European Projects: EUREST, DIRECT, PRESICE and TOB-G.
Anna Tzortzi, MD, FCCP is Scientific Director of “George D Behrakis RESEARCH LAB” at the Hellenic Cancer Society and Associate Director of “Institute of Public Health” at The American College of Greece. Dr Tzortzi is an experienced Respiratory Physician, Clinician, Lung Function Testing Specialist and Researcher with special interest on the impact of active and passive smoking on Lung Function. Different tobacco products (cigar, cigarette, e-cigarette, narghile) have been studied, regarding their effects on respiratory mechanics and exhaled NO. In the project, she will be responsible for WP6, Clinical impact of passive exposure to e-cigarettes emissions on the respiratory system. Constantine Vardavas MD, RN, MPH, PhD is a medical epidemiologist specialized in research methods for tobacco control. Dr. Vardavas has been a leader in European Tobacco Control and spearheaded large multinational cross-country initiatives to combat the tobacco epidemic by using science to support FCTC implementation at an EU Member State level. Before returning to Europe to spearhead tobacco control activities Dr. Vardavas was a Senior Research Scientist of the Harvard School of Public Health, within the Center for Global Tobacco Control. Vergina Konstantina Vyzikidou is a psychologist and currently completing her Masters Degree in Health Promotion from the University of Athens, with a focus on the evaluation of smoking cessation interventions in high risk groups. 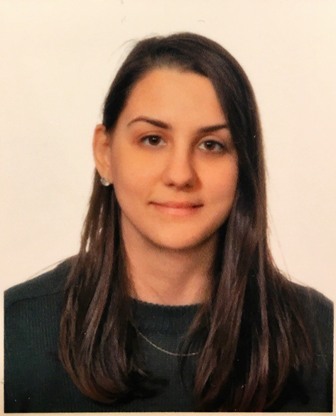 She is a research assistant on TACK-SHS within the “George D Behrakis RESEARCH LAB” at the Hellenic Cancer Society and will be participating in the research activities and health promotion interventions of WP2, WP4 and WP8.